What we feel are the tangible objects — i.e., the objects that are spread around us at various points in physical space. What we see are objects that exist only in the mind. Tangible objects, in the system of the Essay, exist around us in real physical space. George Pitcher, BERKELEY, p. 43. For all visible things are equally in the Mind, and take up no part of the external Space. And consequently are equidistant [in the next sentence Berkeley says ‘Or rather to speak truly…are at no Distance, neither near nor far…] from any tangible thing, which exists without the Mind. George Berkeley, AN ESSAY TOWARDS A NEW THEORY OF VISION, paragraphs CXI and CXII, in The GEORGE BERKELEY COLLECTION: 5 CLASSIC WORKS, Amazon Print-On-Demand Edition, no pagination. Henceforth A NEW THEORY OF VISION. In the case of vision, I perceive extra-mental object existing in external space only indirectly, or mediately, in a three-place relation between my Mind (me), the Visibile Idea (e.g., the Visibile Moon) to which my Mind is related directly, and the external object (the physical, tangible Moon) for which the Visibile Moon serves as a sign. So with regard to vision, Berkeley maintains (at least in what he sets down in black and white on the page) a representational theory of perception. He is an indirect realist with regard to vision: we see the physical object in external space just indirectly, in a way mediated by the mental object of color and shape that we do see directly. But with regard to touch, Berkeley is a direct realist. We perceive the physical object directly through touch. We don’t perceive it by ‘touching’ or ‘feeling’ a mental object that represents the physical tangible object. We are in contact with the object itself. Put another way, our perception reaches all the way to the felt object. In the case of touch, the perception is a two-place, not a three-place relation. This direct realism in the case of touch comes as a bit of a surprise to those of us who think of Berkeley as a thoroughgoing idealist who thinks that everything is mental. And in fact Berkeley apparently claimed in later writings that he theorized touch this way only to prevent his readers from freaking out from far too much counterintuitive idealism (Pitcher, BERKELEY, p. 28) which would only have served to distract his readers from what he wanted to focus on, namely, vision. In his own thoughts, ostensibly kept to himself at the time of A NEW THEORY OF VISION, he regarded the objects of touch as in fact mental. But regardless of what the historical George Berkeley thought or did not think inwardly as he wrote that tract, treating touch in a direct realist fashion as involving direct perceptual contact with the touched/felt physical object is strongly motivated by how he conceptualizes the (ostensibly just mental) objects of vision. As I have discussed in a previous post, The Truth Of Bishop Berkeley (Part 0), Berkeley treats the visible object has properties. The Visibile Moon, for example, is round, flat, luminous, and of a certain pale cheese-like yellow. If we think of the objects of touch as having analogous properties, those properties would be rough, smooth, hard, soft, and so on. But surely no mental things can be rough etc. Only physical objects — for example, the bark of a tree, the cool smoothness of marble — can have these properties. Thus conceptualizing Ideas as having properties puts Berkeley straightway on the road to regarding physical objects existing in extra-mental space as the objects of touch. Touch lends itself to a direct realist interpretation in a way that vision does not. The seen object at least seems to be at a distance from the sensing surface of the see-er. How can the visual experience include anything at a distance from this sensing surface? It would seem prima facie that anything away from that surface would have to be outside the experience. The visual experience would therefore be confronted with the impossible-to-fulfill need to “reach out” to the seen object. This, at least, is how I try to articulate the intuition that vision poses a problem for a direct realist interpretation of the seen object. By contrast, there is zero distance between the sensing surface of my skin and the rough bark of the tree as I run my hand along the bark’s surface. Through touch, I am in contact with the physical object itself. There is no question of the tactile experience having to “reach out” to the object because a physical me, engaging my physical hand, has already done the reaching out. Touch is the direct realist sense par excellence. And, as I hope to show (soon, or at least sometime before I die), the visual experience actually does reach out (in some sense of ‘actually does reach out’) to the physical object (Merleau-Ponty), or at least seems to so reach out (Berkeley) because of the way touch is implicated in the visual experience. Touch informs the direct realist character (real or ostensible) of visual experience. This time my homage to Plato’s SYMPOSIUM takes the form of Brad Pitt in THE FIGHT CLUB. This image seems appropriate for a disquisition on touch and brutal physical reality. If Plato can have a thing for Alkibiades, I can have a thing for gorgeous rednecks. This particular redneck needs to stop smoking, however. In a previous post on Bishop Berkeley’s claim that depth cannot be seen, The Truth Of Bishop Berkeley (Part 0), I argued that this claim does follow from Berkeley’s theory of Ideas, at least as I construed that theory in that post. Here, I want to argue for something like Berkeley’s claim without appealing to any version of his problematic theory of Ideas. The motivation for doing so is to capture within a Merleau-Pontyian framework what I think is the germ of truth in Berkeley’s claims regarding depth. This germ is the claim that, at least in the case of the planes seen or imaginatively pictured end-wise to one’s gaze, there is no straightforward (so to speak) visual presentation of depth. There is not visual presentation of depth, but, paradoxically, there is a visual experience of depth. In this experience, depth is present as absent in much the same way that the hidden side of a physical object, say, the opaquely red plastic pencil sharpener on my desk, is visually present as absent. The pencil sharpener, with both its exposed and its hidden sides, is seen within a three-dimensional visual field. This visual three-dimensional field gets formed through a sensory-motor projection of depth which gets discussed in my The Concept Of The Ecstasis. I will be much occupied with this projection and the presence-as-absence it makes possible in future posts. In the process of uncovering the germ of truth in Berkeley’s claims regarding the invisibility of depth, I hope to deal a serious blow to Berkeley’s Theory of Ideas, and advance one step (my first step) in my project, my essay, my attempt to see whether one can transform George Berkeley, bit by bit, into Maurice Merleau-Ponty. Let me advance the following thought experiment. The aim of this experiment is to show that as an edge (for the sake of simplicity, let’s say it is the left edge) of an initially wholly-frontal plane moves away from you in depth, you see less and less of any given section of that plane, and, of course, of the plane as a whole. That is to say, less and less of these get presented visually to you. Starting from the initial situation in which you see all of the plane and each of its sections, you end up seeing none of these. At first these get visually presented to you in their entirety; then nothing of them gets presented to you visually. The Thought Experiment: Suppose that an extremely, extremely, thin square of gold leaf foil is stretched out in front of you, parallel to your face and to the front of your body. The thickness of this foil is 0.134 microns, or about 500 gold atoms. Thinner than the wavelength of light, this is too thin to see. So were the foil to be turned edge-wise to your eye, it would surely disappear. Nothing of it would be presented to you visually. Now suppose that the foil square is steadily turning in such a way that its left edge is moving away from you. At some point, the darker rectangle will, after first turning into a blur, eventually disappear. For at some point you are seeing so little of the darker rectangle that your visual system can no longer obtain a clear view of it…and eventually cannot get any view of it at all. To step out of the thought-experiment for the nonce and into a real experiment, you can try the following. (Of course, I am sure the claims I made above are not controversial…still…it is always good to cover one’s bases as completely as they can.) Take a bungee cord, like the polyester-green one shown below. Taking a gel pen or some other suitable instrument, mark a line segment on it. At first holding the cord parallel to the front of your body, steadily move the left edge away from you. You will observe the dark line segment becoming, first, a blur, then disappearing altogether. Back to the thought experiment. The fact that you eventually saw so little of the darker section of the foil that it became a blur — and then saw nothing of it — strongly suggests that, as the foil was turning away from you, you were steadily seeing less and less of darker section. The point of this rather extreme denialism is to block one argument for the sense datum theory. (The edges of the physical road do not actually converge; nonetheless, lines are converging; a fortiori there are things that are converging; and these must be something mental, i.e., sense data.) I do not want to dismiss this hard-line take on shape constancy outright, since I think that, in fact, there is a certain amount of truth to it, and I will be discussing shape constancy in particular and perceptual constancy in general in a later post. Nonetheless, I will point out now that at some point you no longer see enough of the darker rectangle to see it in a non-blurry fashion, and very soon thereafter, as the foil square turns away from you, you see nothing of the darker rectangle at all. Were the extreme version of perceptual constancy mentioned above correct, this change from clear and distinct to blurry then invisible would have to be sudden and abrupt, something that strikes me as highly implausible. Nonetheless, gradual or sudden, the change does occur at some point. Then, when the foil square is completely edge-wise to your eye, you no longer see it at all. It has disappeared. There is no longer a visual presentation to you of the square of extremely, extremely thin gold foil. As long as the foil was at a sufficient slant to you, there was a visual presentation of it in depth. There was a visual presentation of depth at a slant. But when the slant became too extreme, that visual presentation became a mere blur; and when the foil came to be completely edgewise to your eye, that visual presentation to you ceased to exist altogether. A plane can be seen in depth only when it exists in depth at a slant. By ‘plane’ I mean a physical surface whose thickness is too small to count and therefore can be abstracted away. There is no visual presentation of such a plane in depth when that plane is situated completely edgewise to the eye. If there is a steady diminishment in how much of the plane gets presented to you visually as it turns away from you in depth, as I think there is, then we can say that the more the plane is situated in depth relative to you, the less visible it is. (Again, fuller argument to come later.) The more depth, the less visibility (i.e., less gets presented to you visually). When the plane is completely frontal to you, 100% of it gets presented (subject, of course, to the limitations of your visual system). When the plane is completely in depth relative to you, 0% of it gets presented to you visually. When the plane is situated at varying degrees of slant relative to you, then, to corresponding degrees less of the plane gets presented to you visually. Or so I claim. We will see whether, in the end, I can get away with this claim. II. It ought to be agreed by all, that Distance [of an object in depth], of it self and immediately, cannot be seen except when this is Distance at a slant. For Distance being a Plane sufficiently thin as not to have a visible edge, it becomes invisible once it is directed end-wise to the Eye. I think something like this was the content of the Aha Erlebnis I experienced some decades ago when I encountered Berkeley’s NEW THEORY OF VISION in that cottony-red book in my parents’ library. So far I have been discussing just visual presentation, which will always include at least an element of receptivity/passivity. The square of gold foil causally impinges on your physical body, and without this impingement you would not be enjoying/suffering the concrete visual presentation of the foil. When the foil is situated at a slant to you, you have an experience of depth that includes this passive component. But the experience of depth also includes an active element, which I would like to briefly discuss now. This active element is projection. One can imaginatively project the depth of the plane. You can, for example, — or at least I can — visually imagine a point that is situated about half-way across the foil that exists edgewise to the eye. In doing so, you posit, that is to say, place the point at that location. (Interesting word, that is, ‘place’ — suggestive of a kinaesthetic action.) The point can be pictured as a spot, say, with some color (white, black, wine red, sea-glass green, burnt sienna, and so on) with just barely enough size to be visualized. Or perhaps there need not be any visual image at all. I might imaginatively feel, probe with the imagination’s finger, so to speak, the distance to what I think is the half-way point of the foil square, with the attendant sense that here is a point that could become large enough to be visualized, a potentially ‘visible’ point. In other words, there is an easy translation from imagined feeling to imagined seeing. I will be having much more to say about this imaginative projection in future posts. In particular, I will be asserting that this imaginative projection is based on a more fundamental motor intentionality ala Merleau-Ponty. The blur: I noted above that, in the case of the bungee cord, one will eventually see a blur instead of the mark made by the gel pen, and, in the case of the foil square, a blur instead of the darker rectangular section. This fact already creates trouble for Berkeley’s concept of a Minimum Visibile, and it becomes completely devastating to that notion when one brings into the picture empirical work attempting to define a threshold at which one becomes aware of a sensation. And if the concept of a Minimum Visibile goes, then Berkeley’s whole notion of purely mental items called ‘Ideas’ that form the building blocks of our perception goes as well. If you ever have had the extent of your visual field tested, you will have faced the following conundrum: you are supposed to say ‘now’ when, keeping your eyes focussed at the center of the tester’s screen, a dot appears at the periphery. At first, you say ‘now’ when a blur appears in the periphery — it will never be a distinct point with clear boundaries after all. But did you wait too long? After all, if you are at all like me, you had the distinct feeling something was there a moment before you said ‘now’. Doubtlessly if you attended more to what you see (an attention distinguishable of course from the act of focussing your eyes on the point), maybe you would have discerned the point visually rather than merely having the feeling it was there. You say ‘now’ again. But did you really see the point at that moment? Maybe you jumped the gun a bit. And if you got it right, maybe it was by chance. So doubtlessly the mapping of points onto the screen that define the limits of your visual field will be a bit irregular. To get a true picture of the extent of your visual field, perhaps those points need to be averaged out to form a smoother mapping of the boundary. When thresholds [such as how close a point has to be to the center of the tester’s screen before it appears to you] are measured, no discrete threshold appears. There is always a range of stimulus values — from stimuli so weak that detection is no better than chance, through values detected with increasing probability, to values that are always detected. A ‘threshold’ is an arbitrarily selected value of the stimulus, such as the intensity of stimulation that is detected exactly 50% of the time. This arbitrary value for the threshold will differ from subject to subject. It will differ with minor differences in the conditions under which the measurements are taken. It will differ with even minor differences in the nature of the response that the subject is asked to make, and it will differ widely between two different responses such as ‘accurate verbal report’ and a ‘significant GSR’ [galvanic skin reflex]. Weintraub and Walker, quoted in M.C. Dillon, MERLEAU-PONTY’S ONTOLOGY (Northwestern University Press, Evanston, IL), pp. 60-61. Dillon takes the quote from Weintraub and Walker, PERCEPTION, (Brooks/Cole Pub. Co., Belmont, CA, 1966), p. 77. Just as I am quite confident that Bigfoot aka Sasquatch does not exist, I am confident that there are no mental tokens called ‘Ideas’ or ‘Sense Data’. Nonetheless, in future posts I will be indulging a certain affectionate tolerance for this notion when discussing Berkeley’s claims that sight and touch are thoroughly entangled with one another, and that depth is constituted by the tactile/kinaesthetic sense. For I think Berkeley comes very close to the truth in making these claims. NOTA BENE: This is very much a work in progress. I propose to complete this essay (‘essay’ in Montaigne’s sense of the word: trial, attempt, experiment) by elucidating two notions: 1) the phenomenological concept, especially as employed by Alva Noë, of perceptual presence-as-absence (e.g., the hidden side of the Cafe Bustello coffee can), and 2) the concept of the ekstasis. Perceptual Presence-As-Absence: Just as we visually experience the currently hidden side of the coffee can even without an outright visual presentation of that side, we visually experience (pure) depth without enjoying an actual visual presentation of (pure) depth. We visually experience pure depth as a visual presence-as-absence. The visual field is three-dimensional — and this includes the hidden side of the coffee can. The Ekstasis, As Explicated By A Certain Clifford Engle Wirt: Not a presentation, (pure) visual depth is a projection. This projection is to be explicated by the concept of a ‘position here’, which in turn is to be explicated primarily in terms of the tactile and the kinaesthetic. Berkeley is quite correct in thinking of depth as to be elucidated in terms of the tactile. 1 Lawrence Hass is very good at demonstrating this point. See his MERLEAU-PONTY’S PHILOSOPHY (Indiana University Press, Bloomington and Indianapolis, 2008), pp. 28-34. Given that the today’s post deals so intensively with that Irish Bishop, George Berkeley, it is only fitting that today’s homage to Plato’s SYMPOSIUM should be a red-head. Plato himself I suspect would have been more acquainted with red-headed Thracians than with red-headed Hibernians. I am very much into red-heads at the moment. There is too much beauty walking the earth for anyone to get anything done. January 17, 2016: Made some other minor changes in an attempt to hide my scandalous lack of control over the subject matter….er, I mean, in order to streamline the argument a bit. In this post I will be collecting thoughts as they occur to me, regardless of whether I am able to fit them into any argument for a larger, more comprehensive and therefore more serious view. These will be like odds-and-endsy scraps of lumber of varying dimensions that the furniture-maker does not want to throw away now because they think there is always the chance a use for them might be found later. But for now none fits into any furniture project they have going on now. Most of these (maybe all of them!) will be drivel, of course, and I will be continually updating this post as it becomes blindingly obvious to me that a given thought is completely unsustainable, at least in its current form. Although the body-subject is the ‘percevant-percu’ (VI, 202) ‘perceiving-perceived’ (VIT, 248) it is paradigmatically the sensed (‘le senti’ VI, 302) which is the synthesis of the subjective and the material. We can appreciate this already if we consider that the sensed seems to have both experiential and physical properties. For example a pain both hurts and is spatially located in a part of the body. Merleau-Ponty speaks of the sensed as ‘at the same time the culmination of subjectivity and the culmination of materiality.’ (VIT, 248). I now want to expose the fallacy in the argument [against naive or direct realism]. One could object to various steps, but the crucial step is number three, which says that in both the hallucination and the veridical case we are “aware of” or “conscious of” something. But this claim is ambiguous because it contains two senses of “aware of,” which I will call respectively the “aware of” of intentionality and the “aware of” of constitution. You can see the difference if you contrast two common-sense claims. First, when I push my hand hard against this table, I am aware of the table. And second, when I push my hand hard against this table, I am aware of a painful sensation in my hand. a) I am aware of the table. b) I am aware of a painful sensation in my hand. Both of these are true and though they look similar, they are radically different. (a) describes an intentional relation between me and the table. I had a sensation where the table was its intentional object. The presence and features of the table are the conditions of satisfaction of the sensation. In (a) the “aware of” is the “aware of” of intentionality. But in (b) the only thing I am aware of is the painful sensation itself. Here the “aware of” is the “aware of” of identity or the constitution of the experience. The object I am aware of and the sensation are identical. I had only one sensation: a painful sensation of the table. I was aware of (in the sense of identity or constitution) the sensation, but I was also aware of (in the sense of intentionality) the table. Contra Searle, however, it is clear that when one has a pain in their hand, a certain part of their body gets presented to them under (among other things) the aspect ‘having such and such spatial location and extent.’ One ‘condition of satisfaction’ for this presentation is ‘this part of my body exists at this location’; another is, perhaps, ‘something is wrong with that body part’. Were one suffering from a phantom limb, the first of these conditions of satisfaction would not be satisfied, but perhaps the second would be (“Hell yes something is wrong with that body part! It doesn’t exist any more!! !”) At any rate, having conditions of satisfaction that can be satisfied/fail to be satisfied, one’s sensation of pain is just as intentional as their seeing or feeling the table. John R. Searle, SEEING THINGS AS THEY ARE: A THEORY OF PERCEPTION, Oxford University Press, 2015, pp. 3-4. I will sometimes reference this work as SEEING THINGS. Searle seems to want to identify not one, but two distinct kinds of visual fields: a subjective visual field and an objective visual field. And he seems to think we can identify both kinds within our ordinary, waking experience. Let me start with the subjective visual field. The subjective visual field is that kind of visual field in which, while one has visual experiences, one does not actually see anything. The visual experiences have no objects. Just as one sees nothing when they hallucinate a pink rhinoceros at their side (but they do have a visual consciousness that is like the visual consciousness they would have were they actually to be seeing a pink rhinoceros), one does not see anything in the subjective visual field. Much of this book is about the relationship between the subjective visual field and the objective visual field. The most important point I can make right now is: in the objective visual field everything is seen or can be seen, whereas in the subjective field nothing is seen nor can be seen. Distinct from the subjective visual field is another kind of visual field, the objective visual field. Searle defines one’s objective visual field as the set of identifiable-by-a-third-person objects and states of affairs that are visible from their point of view given the current lighting conditions in their environment and given their present physiological and psychological state (SEEING THINGS, p. 106). Apparently, then, the objective visual field is just that section of space and the objects within it that are visible from one’s point of view (and given….and so on). These are objects and space existing (normally) outside of one’s cranium. Needless to say, one can identify the objective visual field in one’s experience because one does have experience of things and space outside of one’s cranium. My subjective visual field, on the other hand … exists entirely in my brain. Crudely, the subjective visual field is, so to speak, two-dimensional. … [Of course t]he subjective visual field is not a visible object having two dimensions…. [But] … any impression of depth can be created by two-dimensional surfaces, as is shown by, for example, trompe-l’oeil paintings. John R. Searle, SEEING THINGS AS THEY ARE: A THEORY OF PERCEPTION, Oxford University Press, 2015, pp. 3-4. But, as I am about to show, Searle has identified no such thing. For contra Searle’s claim that one does not see objects in the subjective visual field, one does in fact see objects when they follow Searle’s instructions to identify a subjective visual field and closes their eyes (the instruction he gives at the end of the first passage quoted above), or closes their eyes and places their hand over their eyes (the instruction he gives towards the beginning of that passage). One sees objects in a clearly degenerate, drastically attenuated, highly defective way when they follow either one of these instructions, but they do see objects nonetheless. For at the very least, one is seeing the shadow-side of their eyelids when they follow either of Searle’s instructions. Through A Glass Darkly: My Explanation: When I slowly, gradually close my eyes, I visually experience a single horizontal band of somewhat warm darkness moving down at the same rate as my moving my eyelids down. Along with and “entangled with” (as George Berkeley would say) my visual experience is a tactile experience of this band’s location. For the band feels like it is on roughly the same vertical plane as my eyelids. I get additional confirmation of this ‘feeling of location’ when I move my finger down with my eyelids, my finger touching the lids. The same sense of tactile location and the same method of confirmation give me the sense that the width of the band is the same as (on the left) the outer edge of the eyelid of my left eye and (on the right) the outer edge of the eyelid of my right eye. But there is no determinate visual terminus defining the band’s left and right sides. (Promissory note: this indeterminacy is extremely important, and will need further detailed discussion sometime.) By contrast, there is a much more determinate, though still rather blurred edge at the bottom of the band. This bottom edge gets more determinate, a bit less blurred as it moves down, and becomes more like the somewhat rounded edge of a body part such as an eyelid. In certain lights, I see in a blurred way some striations when the dark band has come close to completing its downward movement. These striations I confidently identify with my eyelashes. Clearly the dark band is identical with the shadow-side of my eyelids. Since this is a single band, not double, two views of my the shadow-side of my eyelids are getting merged into a single visual presentation.1 I am seeing the shadow-side of my eyelids when I see the downward-moving dark band. That I am in fact seeing a physical object (actually, two physical objects the views of which have been merged into a single view or presentation) is strongly confirmed by the fact that when I move so that I am facing a direct light source, I sense light filtering through and visually experience a lighter, warmer, orangier color. I am experiencing the visual effect of translucency — of light going through a not-100%-opaque flesh-colored object. Skin, after all, is just a little bit transparent, as shown by the bluish veins one can see in one’s hand through a thin layer of skin. Surely the most plausible explanation of this effect is that I am indeed seeing some translucent objects — my eyelids — presented in a single view. That I am experiencing translucency in this situation is further confirmed when I move my eyebrows up and down, I experience a darker band at the top of my visual field going up and down, along with (when the movement is down) a darkening, bluing, and cooling of the formerly lighter, warmer, fleshier and orangier color I had been experiencing. Clearly, my retinas are picking up the shadow cast by my eyebrows where less light strikes them relative to what filters through my eyelids. Again, when I touch my index finger to my eyelid. I then see a cooler, darker shadow on my eyelid. (Naturally, I sense the size of this shadow as equal to the felt size of my fingertip.) This could not happen if my eyelid were not translucent and therefore visible to me even when it is covering my eyeball. And again, when, both eyes shut, I partially follow Searle’s instructions above and cover my right eye with my right hand, the color of the dark field on the left remains warm and orangish, but the color on the right side of the field turns cooler and one notch darker. Clearly my right hand is hindering light from entering through my right eyelid and casting a shadow. The experience is very similar to pressing the shower curtain as close to my (open) eyes as I can get it. The individual patterns on the curtain become very, very vague. I lose most or all sense of the curtain’s texture, so that the curtain becomes (in this particular case) a whitish field of color occupying the entirety of my visual field, with its indeterminate boundary. Objects beyond the curtain, such as my cat Munti, cast moving shadows across it. In other words, attenuated as this visual experience is, I am still seeing a (somewhat) translucent objects even when it is extremely close to my eyes. For one, the shower curtain is causing my visual experience of it by transmitting light through it, light that hits my retina. For another, my experience changes as this causal action changes — my cat moves this way and that, partially blocking this light. For yet another, I am experiencing (in a defective way) a property of the curtain — its whitish color. For still yet another, my visual experience occurs in the context of my being situated in a wakeful manner in an actual setting I am in contact with — the bathtub in my bathroom. It is not like my “hearing” in a dream a lion roaring in a savanna, which sound turns out to be, upon my wakening, the roar of a car engine. I am seeing a field, a ground, not a figure with demarcated limits on a ground. But fields aka grounds are also things that I see — for example, the dark green blackboard around and running underneath the chalk figure visible on top of this ground. Clearly, I am seeing the shower curtain, attenuated and defective as that vision is. Likewise, I am seeing the shadows cast by my eyebrows onto the translucent surface of my eyelids, and the shadow of my fingertip in the situations described above, just as I see the shadow of my cat on the shower curtain. As Searle’s case clearly demonstrates, one can be seeing one’s eyelids and the shadows cast upon them without seeing that or recognizing that it is one’s eyelids and their shadow-play that they are experiencing. This fact, though, does not mean that one is not seeing the shadow side of their eyelids when they close their eyes. For of course one can see x without knowing that it is x. Seeing is referentially opaque. When at night, for example, I see a dark shape, just barely distinguishable from the enveloping darkness, I am in fact seeing my friend Chris even though I do not know who or what I am seeing, or even that it is a tangible being and not, for example, a ghost. And since one’s cognitive concerns in the world almost always go past one’s eyelids and out into the world, it is perhaps not surprising that one’s perception of their eyelids is (perhaps normally and usually) cognitively as well as straight-up visually poor. My eyelids are translucent. I am seeing the shadow side of a translucent object, namely, my eyelids, when my eyes are shut and I am facing a direct light. And even when I am not facing a direct light, it seems to me that I am always seeing the faint shadow, the slightly darker area, at the top of my visual field where my eyebrows — at least at the very upper edge of the eye-socket — are casting a shadow. I submit, then, that there are no ordinary circumstances in waking experience when one sees nothing when they close their eyes. I will go out on a limb and assert that, in ordinary circumstances, some light always gets through one’s eyelids. (This is, of course, an empirically falsifiable statement.) One can doubtlessly construct a situation in which no light gets through. But this would be an unusual situation, and therefore useless for an appeal to identify in our ordinary waking experience something that Searle thinks he can identify, name, an object-less visual experience. One sees the shadow side of their eyelids. Case closed. — Almost. Of course, there is at least one problem here. Initially, as I have said, the dark band as confirmed by my fingers is about the length from one outer edge of one eye to the outer edge of the other eye. But when my eyes are completely closed, the length (as determined by my fingers as I press them on one part of the darkness I am presented with and then on another), the darkness I am visually presented with seems more extensive both horizontally and vertically than my eyelids (whose extent I also confirm with my fingers). How could this be if I am seeing the shadow side of my eyelids? An autobiographical note is in order here. Yesterday, on November 26, 2015, I, Clifford Engel Wirt (Sometimes Cliff Engel Wirt, sometimes Clifford Engle Wirt, sometimes Cliff Engle Wirt, much of the time I pronounce the last name as the English ‘Wirt’, but sometimes, when I am tired, I pronounce it as ‘Veert’ … but I digress….) was completely convinced that the extent of this dark area was identical with the extent of what I see of my face when both my eyes are open. In my case, that is the left edge of my left eye socket and the right edge of my right eye socket, the lower part of my eyebrows, and part of the area where my cheek bones start jutting out. (All of these I see in a rather blurry, undefined way, of course.) This extent was, I assert confidently, was given through a tactile feeling, a feeling that was entangled (Bishop Berkeley again), or, as I prefer, integrated with my visual experience. But today, on November 27, 2015, I am absolutely convinced that the upper area of the darkness I experience when my eyes are shut is co-extensive with my forehead. I try to tap the upper part of this dark area, and I end up tapping the middle of my forehead. Go figure. I must have been influenced by the description Searle gives in the first passage quoted above. — Please, Lord, don’t ever cause me to experience this dark area as in front of my face, as Searle would have it, as opposed to the way I currently experience it as coextensive with part of my face! — Clearly the entanglement in/integration of my visual experience into the tactile sense of the location of the various parts of my face is a highly variable phenomenon, much open to suggestion. It should not surprise one that this should be so. For the visual experience I have when I close my eyes is highly degenerate. It is much like my visual experience of the shower curtain when I press it very, very close to my eyes. I lose all sense of the curtain’s texture and most of its patterning. It becomes just a white field. It lacks clear boundaries because those boundaries are the thoroughly indeterminate limits of the visual field. (See promissory note above.) The shadows cast through it, say, by someone’s finger pressing against the curtain on the other side, are extremely vague, just as are those I see when I press my finger against my closed eyelid. My visual experience of the shower curtain is very, very far away from the maximal perceptual grasp so famously discussed by Merleau-Ponty. As a visual experience it is highly defective. Even more so, then, will my visual experience of my eyelids be defective. My eyelids, after all, are even closer to me than the shower curtain pressed to my eyes. I have even less of a Merleau-Pontyian maximal grasp on this rather amorphous dark field, rather prone to intrusions by afterimages, than I do on the shower curtain. The light coming in from the outside world and causing me to see my eyelids is, a bit like the light finally reaching that quasi-planet Pluto from the sun, a bit weak. The visual experience is therefore weak and more vulnerable both to disruption (the intrusive after-images) and to odd influences (passages from Searle’s book, for example). It should not surprise us, then, that the integration of this visual experience into my sense of bodily location and extent should also be highly variable and unstable. Degenerate to the utmost degree, we cannot demand of it that it give us an accurate sense of how large the area of darkness is. This would be contrary to its nature, as if we demanded of a horse that it lie down in a suitably genteel manner on a couch. I therefore dismiss the notion that one cannot possibly be seeing their eyelids when their eyes are closed because the extent of the dark area visually experienced may not agree with the felt extension of one’s eyelids. If I see my eyelids when facing a direct light with my eyes shut, I see them even when I am not facing a direct light when my eyes are shut. The visual experience, after all, is not much different in the two cases. Would anyone really care to contest this? I assert, therefore, that I normally see my eyelids when my eyes are shut. That Searle does not merely suggest, towards the beginning of the first passage quoted above, that one close their eyes, but also has one cover their eyes with their hand, suggests that he may be at least vaguely aware of everything I have said so far. Searle seems to be aiming at a situation in which no light at all filtrates through the eyelids to strike the retina. As for myself, I never succeed in getting to this state just by using my hand. Some light always comes through no matter how hard I try, for example, through the intervals between the fingers which I cannot close completely, or from towards the bottom of the hand, which I cannot get to adhere to my face with suction-cup effectiveness. So the attempt to follow Searle’s instructions has miserably failed, at least in my particular case, to generate the identification of a purely subjective visual field in which visual experiences have no objects. Maybe one could take fairly drastic measures to ensure that absolutely no light filters through the eyelids. I am sure that, with enough dedication and commitment,2 one could achieve this state. Maybe one would then have a purely subjective visual field in which there are visual experiences, but no visual experiences that have objects. But until I get into this state, and until Searle gets into this state, neither of us has identified a subjective visual field in the course of our experience. As I said above, Searle has identified no such thing, and he has not given instructions that would enable one to identify such a thing within their experience. And even if one did have enough dedication and commitment to achieve this singularly unenlightened state, it is not obvious that one has enabled the identification within their experience of a subjective visual field considered as distinct in kind from an objective visual field. All one has done, I submit, is create an extremely abnormal situation that causes one single visual field to degenerate so much that it no longer contains any objective elements. All one would have created would be a bunch of flotsam and jetsam left over from the disintegration of a far richer, more integrated (integrating, for example, visual experiences with tactile experiences) visual field. For it is certainly prima facie the case that in normal situations only a single visual field opens up for one. This visual field contains both objective elements (the coffee cup when my eyes are open, the shadow side of my eyelids when closed) and subjective elements (the various afterimages I may sense in both the eyes-open and the eyes-closed cases; the “snow” I always “see” that arises from a visual abnormality I suffer from, causing me to wonder sometimes if I am seeing a very light rain outside the office window or if I am just sensing “snow” as usual, showing that the “snow” at least seems to be in the space outside the window; the “fields of force” manifesting themselves in the pulling together of three angles drawn on paper to form a triangle in the illustration from Gestalt Psychology…”fields” that I do not see but which are definitely an element of my visual field…; the silly cat sitting in the bookshelf I am hallucinating with my eyes open (no, not really…what do you take me for? ); the pink rhinoceros standing beside me as I write this (this is my study rhinoceros))…. Although I am at the moment uncertain how to use the inability to distinguish two kinds of visual fields (one subjective, the other objective) to attack Searle’s theory of perception, the fact that Searle tries to distinguish and identify the two suggests the distinction is critical to his theory and that some sort of attack on these grounds should be possible. Some strange compulsion forces me to add as a last note that ages ago, in a graduate seminar on St. Thomas of Aquinas, no one seemed to have the slightest idea of what I was talking about when I tried to describe what one sees when they close their eyes. I think the moral of this is that Thomism will skew one’s perception of absolutely everything. Or maybe that I am just nuts. I report; you decide. Update: September 16, 2017: Why should this matter? It undermines a bit Searle’s attempted distinction between the content (subjective) of an experience and its object (objective). (The purely subjective visual field versus the purely objective.) Searle cannot point to an example of this distinction that occurs within normal everyday experience. He would need to go to extra-ordinary breakdowns of normal experience — total sensory deprivation, for example, or hallucinations. (The pink rhino grazing peacefully at my feet while I write this.) Within normal, ordinary visual experience it is not easy to locate something purely subjective that is not a presentation of an object existing in the world. The tie to the world is not so easily cut. Lumber Scrap #3: The coolness of a color and the warmth of a texture. My Color Personality is Sea Glass (starting from various shades of Viridian Green and going bluer), says the online quiz sponsored by Better Homes and Gardens on FaceBook. While I do have some doubts about the scientific validity of this personality test, I do find the below an interesting example of synaesthesia at work in everyday experience. The shades of the color sea glass have cool undertones. Textures such as weathered wood and rattan are warm. So pair the two! Give beachy a sophisticated shake with a sea glass palette. These mellow shades of green have cool undertones (meaning they have hints of blue rather than yellow) and pair well with gray blues and light neutrals. Incorporate natural textures such as weathered wood and rattan to add warmth. That a color can be paired with a texture suggests a commonality. Here the commonality is something belonging to the domain of tactile feeling: coolness/warmth. Color and texture form the most common instances of synaesthesia. I see the roughness of the bark, the smoothness of polished marble. Perhaps little tendrils of nerve fibers are sprouting from the visual center of the brain and connecting to whatever tactile center, but however it is done, the tactile is integrated into the visual as a single visual experience of bark or marble. There are not little unitary bricks of Berkeleyian Minimal Visibiles existing “side by side” as it were with little unitary bricks of Berkeleyian Minimal Tactiles. There is no ‘and of sensations’ when one sees the bark or marble. Not matter how hard one tries to introspect (or, for that matter, look at the bark or marble), they will never be able to untangle a purely visual experience of color from the purely tactile experience of texture. Berkeley actually comes close to this Merleau-Pontyian phenomenon when he tells us that the Visual is so much entangled (his word) with the Tactile in experiences such as seeing rough bark that it is next to impossible to disassociate the two and see them as separate. But he is incapable of actually arriving at that point. The two must be separate and distinct, he thinks. Supposing otherwise would be like accepting A and NOT A as true. So in his own introspection of his Ideas, he must have told the two (e.g., Visual Idea of a brownish color and Tactile Idea of the Imagination of roughness) apart. But whatever Berkeley told himself, he surely never did succeed in telling the two apart. Lumber Scrap #4: Interesting that Searle’s graphic illustrations in SEEING THINGS AS THEY ARE: A THEORY OF PERCEPTION always show the relation in breadth, from the view point of a third-person observer. None is presented in depth, from the view-point of the first-person observer/entangler-entanglee-in-the-world. Lumber Scrap #5: A book on n-dimensional geometry I read in High School defined the different spatial dimensions in terms of the ability to move around obstacles. A point has 0 dimensions. Considered by itself, it has no freedom of movement at all. Now place the point inside a line. Since a line is a one-dimensional object, we have just introduced a higher dimension, going from 0 to 1. The point now has the freedom to move inside that line. Now imagine our point as encountering an obstacle in the line — another point — that obstructs its movement. Our point regains its freedom of movement when we introduce yet another higher dimension — a two-dimensional plane. The plane gives our point the freedom to move around the obstacle in the line. Now imagine our point as encountering yet another obstacle — a line in the plane. Introduce the third dimension. Voila! The point has regained its freedom of movement through its ability to bypass the line by moving around it. Let’s apply this High-School geometry lesson to a phenomenological description of depth. I am about to argue that this description has to be done, not in terms of a static existing side-by-side of points, but in terms of motion. Motion of a point? Motion of my body? I am sitting inside my car in the parking lot of the HEB on San Felipe and Fountainview in Houston, Texas. It is dusk. My head and eyes are positioned in a way such that I see the soft scrim of a tree’s foliage, and, beyond that, the glow (darker red against luminescent yellow) of some gas-station signage spelling out the word ‘SHELL’. The sign is some distance from me, across San Felipe. No objects are visible between the foliage and the SHELL signage. I imagine a glass pane extending across my field of vision on the same plane as the foliage of the tree. Naturally, I have a (somewhat indeterminate — why this is important and why it makes life somewhat more difficult for me is to be explained later) sense of depth extending beyond this plane and towards the glowing signage. Taking my cue from my High School geometry — geometry is the science of space, right? — I try to construe the depth I sense as a line segment. Because I think this will be the purest example of depth, I choose that line segment which is situated in the exact middle of my visual field, extending from the plane in which the haze of foliage is situated, and ending up at the glowing signage across San Felipe Street. If one extends the line segment in the other direction, it would end up at my eye. To make things simple, lets pretend that I am looking with only a single eye open. Of course, this geometrical line segment, lacking thickness, is an abstraction. It is not something I can sense. What, then, might my sense of depth consist in? Well, I can visually imagine line segments of whatever color (wine red, sea-glass green, burnt sienna, white…) to represent the mathematical objects. Maybe my sense of depth consists in visual imaginings like these! So let me try to visually imagine a line that I can use to represent the line of depth that exists between my eyes and the gas station signage. II. It is, I think, agreed by all, that Distance [of an object in depth], of it self and immediately, cannot be seen. For Distance being a Line directed end-wise to the Eye, it projects only one Point in the Fund of the Eye, which Point remains invariably the same, whether the Distance be longer or shorter. George Berkeley, AN ESSAY TOWARDS A NEW THEORY OF VISION, paragraph II, in The GEORGE BERKELEY COLLECTION: 5 CLASSIC WORKS, Amazon Print-On-Demand Edition, no pagination. Henceforth A NEW THEORY OF VISION. As I’ve said before, I think George Pitcher has pretty thoroughly demolished the actual argument written down in black and white by the actual historical George Berkeley, but I do think that what I have presented above gets at the intuition animating this passage. And I am reasonably confident (yes, I can be just reasonably confident about this) that it lays out the intuition, the Aha Erlebnis, I experienced when I first encountered this passage some decades ago. Since I can imagine just a single point (tiny spot image) of the line segment extending from the plane of the foliage to the gas station signage, clearly my sense of that depth cannot consist in the visual imagination of a static array of points, one behind the other. So I will take a cue from my High School geometry and postulate that what generates the (sensation) of the depth in question is the (imagined) motion of the point from the plane of the foliage towards the gas station signage. The imagined point is ‘there before me’, in front of my body whose solidness and heaviness occupies a ‘position here’. The point facing me (in my imagination) is in a position not occupied by my body. More to come in this lumber scrap. Lumber Scrap #6: John McDowell makes what many will regard as a striking claim that certain perceptual states are indefeasible. “But of course perception is always defeasible!” will be the typical response. “What I am seeing could be an illusion (for example, the weird ‘shape’ of the teapot handle seen through a wine glass), or even a hallucination (for example, the pink rhino I am seeing now grazing contentedly at my feet while I write this)! Lumber Scrap #7: My hand is placed on the cool metal bar of the seat in front of me as the Metro train reduces its speed. As a physical mass with inertia, my my body continues to move forward at the train’s previous, faster speed, causing my hand to press into the metal bar with my body’s weight behind it. I daresay that I have the kinaesthetic sense of my body moving forward towards the bar; but even more salient than this is the sense of the inertial mass of the bar, in an equal and opposite reaction to my body’s moving forward, pressing into my hand. When I am intentionally touching something — some smooth silk, for example, or the rough bark of this particular tree — I apply one degree or another, as is appropriate in each case, of pressure to the object or material felt. In both these cases — the bar impinging upon my hand, my intentionally impinging myself upon the silk or bark — pressure occurs. The existence of this occurrent pressure highlights one facet of the sense of touch, namely, there is zero distance between the object felt and the sensing surface. What the blind person experiences in the presence of an object is pressure. When he stands before a wall he has never touched and does not now touch, he feels a physical presence. The wall bears down on him. … Perception, then, would mean entering into an equilibrium of pressure…. Pressure is something sensed tactilely. So the pressure sensed virtually by some blind people of objects at a distance corresponds to the texture objects sensed virtually and at a distance by people gifted with sight when they see the smoothness of marble and silk, or the roughness of bark or of a stucco wall. This virtual touch will turn out to be highly important. So far, then, we have a 2-place relation comprising a thing occurrently felt, and a body with a sensory surface at which the thing is felt. The two terms of the relation are distinct in spite of the fact that zero distance exists between them. , I feel my hand pressing against the seat. At the same time, I feel the seat pressing into my hand as it accomplishes its opposite and equal reaction that is to accompany every action on it. There is just one tactile experience here, one tactile presentation, but encompassing two different things: the seat in its inertial mass engaging me in my physicality at and through a single “point”, my hand. The seat, and me, with my hand as a focus. This tactile presentation, in one stroke, reveals the hardness and mass of the seat and the mass and physicality of my hand. Pretty much the same dynamic occurs every time I actively feel something with my hand. As I pass my hand along the small-pebble-ish-rough wall, for example, I unavoidably press my fingers ever so lightly into the wall. So part of the tactile experience consists in the wall ‘pressing’ into my hand in reaction. But now, instead of a presentation of a single spot of the seat pressing against a hand occupying throughout this time a single location, my hand covers a spatial range forming a line, or perhaps a linear square, triangle, circle or some irregular zig-zag. It is as if my felt hand/fingers-felt-press-of-the-wall were the head of a comet leaving a trail behind it to form a line, except that, while comet head and comet tail both exist in the present, the trail left by my fingers has already slipped into the very recent past. But it does so in such a way that it continues to inform the present, giving the current position of my hand the sense ‘at the head of this advancing line’. In perhaps much the same way a previously sounded but no-longer occurrent note lingers in the air so as to give the note sounding now a position in a melody. What gets presented is ‘note sounding now in relation to the notes that have just slipped into the very recent past and sounding therefore in the context of a melody’. Just so, what gets presented as I move my fingers along the slightly roughish wall (or the coolly smooth marble) is ‘fingers-pressing-upon-getting-pressed-upon-occurrently-in-the-context-of-a-trajectory-formed-by-their-just-past-motion-and their just-past pressing-in-upon-the-wall-and-the-wall’s-just-past-pressing-into-my-fingers’. This, I assert, is how the presentation of ‘slightly-roughish wall’ (or ‘coolly smooth marble’) is structured. This is a single presentation encompassing not just finger-spot and hard-surface-spot but also finger/hand trajectory and linear area of hard surface. Felt fingers/hand felt surface in a single presentation. So what, exactly, am I arguing against? I am arguing against the idea that there would be two presentations occurring at the same time. Lumber Scrap #8: Cryptic remarks, to be expanded when I am not spending all of my time working. Empty space plus ‘extending’ (vs. positing) oneself: one term of the relation drops out. leaving a one-place relation. A kind of tactile ‘buzz’ outlining a position here at which I am. When occurrent there is always another object (the ground underneath my feet, the bed underneath my body) distinct from me but no distance from me (two-place relation). Spell out what Berkeley does not spell out, and see where we end up. The emptiness of space makes itself a bit more salient to even my spectatorial awareness when I, for example, imaginatively move my hand underneath my table/desk at work and ‘feel’ its underside. The “empty”, “massless” space before me (and around me) in which I can freely move is the counterpart of the the weight and mass of my body located at this unique position here, which weight and mass becomes manifest in my constant actual movements (no matter how small) and which ties me down, weighs me down at the aforementioned position here. The possible versus the actual. The emptiness of this space arises from its not being actual and present, its being potential and futural. It is a potential/futural position here and therefore an anti-mass, an anti-weight. And its indeterminacy makes it a bit problematic to talk about a potential position here — the level of determinacy needed to talk about a position here belongs to the spectatorial imagination. A possible position here is this possible position here, one determined by the mind’s eye, not totally disassociated from the body’s kinaesthesia. “A” possible position here automatically brings in the notion of the body’s possible movement. The sense of ‘going out’ is especially keen — in fact, perhaps gets revealed — when there is a hole in, for example, the scrim formed by a tree or a bush, through which you see an object behind — a building, say, or the Shell Station sign. (Yes, I need to lead up to this very carefully.) The line of vision to the sign (to run with that example) is straight-to. There are no intervening objects in view. These conditions highlight one important feature of this vector, this ‘going-out’, this ‘ekstasis’ — it is indeterminate. I become a bit surprised when, after this exercise, I walk past the tree and gain a concrete, determinate sense of the distance from my truck to the sign. Then other tangible objects enter my visual field — for example, the asphalt pavement with the painted traffic lines — , with the result that the distance becomes much more available to an estimation of a determinate length — say, 6 body lengths (36 feet or so). The line of vision to the sign is no longer straight-on — other tangible objects appear at a slant. And I become slightly surprised by how much the real distance, the distance in the tangible world, really is. Before, tangible presence had not shown up in the ‘straight-on’ part of my visual field — there was only a futural possibility — the futural quasi-imaginative (I say quasi because this is not a positing imagination — not the spectatorial imagination) launching of my body through this hoop. This brings me to Berkeley’s insistence in the NEW THEORY OF VISION that real measure is tangible measure. You have to slap a physical ruler onto the thing that can have something slapped onto it. Without the tangible measure bringing you into the present, you have only the futural intra-(quasi)-imaginative projection which is surely subjective in some sense, though not in what I take to be Berkeley’s sense in which to be subjective is to be locked up “inside” a mind (considered as a kind of container) in such a way that no part of the object thus locked up is accessible to any other mind. That there is nothing hidden in Berkeley’s Ideas entails there is nothing accessible in it to anyone else. Without the intervening tangible things (‘entanglement’ of the tactile into the visual) in the visual field, there is only an in-a-way “subjective” visual field which, (more) divorced from the present and tangible [yes, I know, I need to explain this ‘more or less’ divorced — I do have the sense that the sign I see through the hole in the tree-scrim is further away than than the object I see through the hole in the bush-scrim… but I begin to get a ‘maximal grip’ on the distance only when tangible objects intervene] is indeterminate. It is therefore indeterminate in the same way that the “longer” line in the Mueller-Lyer illusion is in fact of no determinate, measurable length longer than the “shorter” line. The two vectors (the Mueller-Lyer illusion and the ‘going out’ in the visual field) are very much alike in this regard. The ekstasis is a kind of Mueller-Lyer illusion ‘going out’. When the polyester-green bungee cord is stretched out lengthwise before me, I enjoy a presentation (much more rarely, should I be hallucinating, a mis-presentation) of (as of) an actual physical object existing in space in the present. Adopting the spectatorial attitude, I can imaginatively try to resolve this presentation into a series of points, as small as I can imagine them, lying side by side with no space between them. When the bungee cord is withdrawn, I can still posit these points lying side by side in ’empty’ space in a quasi-presentation. The temporal dimension of presentation is, naturally enough, the present. What the presentation is of pertains to the actual, not to the merely potential. The presentation pertains to the full, to a plenum, not to an emptiness. But as I think I have shown here, the more the bungee cord (or, to use the example used in the post referred to, the one-atom thick gold tape) is moved away from me, the less there is of a presentation of the cord (or tape). The more what we are talking about is potentiality, not actuality, the futural, not the present: the depth into which the gold tape has finally disappeared is something that I can (potentially) move my body (in particular, my arm and hand) through; restricting myself to the spectatorial attitude, and using the amazing powers of the mind’s eye, it is a field through which I can (potentially) move a posited, imagined point through. The potential is the futural — the future is its temporal dimension. The futural comprises all of the following: non-presentation, non-fullness and non-plenum(emptiness), the non-actual (the merely potential). The space in front of us (presentation mainly though not exclusively through vision) is spatial-temporal, that is to say, spatial-futural. Locality has such a pervasive importance because it is the essence of what space is. By “space” I don’t just mean “outer space,” the realm of astronauts and asteroids, but the space between us and all around us, the space that our bodies and everything else occupy, the space through which we swing a baseball bat or stretch a measuring tape. Whether you point your telescope at the planets or at the next-door neighbors, you are peering across space. For me, the beauty of a landscape comes from the giddy sense of spanning space, a sort of horizontal vertigo when you realize the little dots on the other side of a valley really are there and that you could touch them if only your arm were long enough. George Musser, SPOOKY ACTION AT A DISTANCE, New York, Scientific American/Farrar, Straus and Giroux, 2015, p. 7. Emphasis mine. My project now (my Berkeley and Merleau-Ponty project) is to describe as best and as precisely as I can what this ‘spanning space’ is. The question of whether space and time are absolute or relative has re-emerged in a new form in modern philosophy and physics as the question of whether space-time is absolute or relative. It remains to be seen whether a holistic unified science which allows the presence of the conscious subject in the universe will ascribe subjective properties to space-time. Stephen Priest, THE EMPIRICISTS, Second Edition, New York, Routledge, 2007, p. 138. Want to pin down, when I have time, a pertinent passage from Renaud Barbaras’ THE BEING OF THE PHENOMENON. There is zero distance between me (my body) and the wooden board (say, the smooth, unobtrusively varnished, beautiful board of my ‘computer station’ desk) that I am pressing into/is pressing against me. Nonetheless, the board remains obdurantly outside me. It has not come so close to me that it now occupies the space that I occupy. Describing just what is tactically presented, there are two sides: the side of the board outside me — the ‘other side’ — and ‘this side’: my side. The ‘this side’, with all its weight and heft, is what is in my case the position here. It is that position (to bring sight into the picture now) from which I engage with, view, and sometimes confront visible things/objects. The red and yellow apples example interpreted in the light of elementary probability theory. Intuitions. Then apply to the perhaps more solid examples of irrelevance. Knowledge bzw ignorance needed for any probability less than one. In his NEW THEORY OF VISION, Berkeley starts off by presenting Visibile Ideas as rather robust creatures — the Visibile Moon, for example. But as he proceeds, Visibile ideas become more and more paltry, especially as they get stripped of their “entanglement” with Ideas of Touch. We end up not even being entitled to say of them that they have planar shapes! In their poverty, it seems to me, they match the visual presentation of darkness one experiences when they close their eyes, a presentation that can have an off-and-on relationship with potential tactile experiences that affect the perceived size of the dark area (identical, I argue above, with the shadow-side of one’s eyelids). Somewhere in the PHENOMENOLOGY OF PERCEPTION Merleau-Ponty states that even conceptualization is made possible by the body. A person with a certain kind of brain damage will be unable to perceive red objects as forming a group. Seeing red objects as forming a group — say, this pop-up of a red maple tree on my desk, and the red coffee can also there in my visual field — forms the basis of applying the concept red to these objects. (Not placing a sense datum under a category; instead, the concept emerges from what is seen.) But just this I strongly suspect is not enough in order to have placed the objects under the concept ‘red’. It is the basis for identifying an object as red. But one also needs to re-identify the object. Turn around, turn back again, see the red grouping — basis for re-identifying. But still more is needed. I propose this: if I can locate a currently unseen red object — say, I am told ‘fetch for me the red plastic pencil sharpener behind the counter…. The barely detectable — when I turn my attention to my stomach area — gnawing sensation present there during an episode of mild anxiety (or whatever the emotion was). In other words, a presentation of my body that would ordinarily escape an awareness that. I awake from a deep slumber and find myself staring at this object ‘there.’ A second later, as the blood rushes back into my hand, I realize that — see that — become aware that this object is my hand, mine, an integral part of me. It is now part of a ‘this body getting presented here.’ In each case a presentation-here occurs, which signals an availability. I can move my hand at any time; my hand is now ‘just here’ in much the same way that the taken-for-granted hammer lying on the table is ‘just there’ for the carpenter. The carpenter ‘automatically’ reaches for the hammer when they need it; I ‘automatically reach out for something when I need to, and I grasp that thing in my hand. The intuition is that the taken-for-granted character of my hands availability for an action, a project, is so deep that it cannot be characterized as an ‘awareness that.’ There is no category ‘me’ that the hand is placed into. A number of colored objects are present before me there in my visual field. I turn my attention to one and identify its color — yellow ocher #124. (I even have a color sample in my hand to make the identification as accurate and precise as possible.) In making this identification, I exclude all the other millions of possible colors that the object’s color could have been identified as, many of which I may be able to call to mind readily. The object is this color, yellow ocher #124, not yellow ocher #123, not any of the burnt siennas, not any of the other oranges, not a red, not a purple, not a violet, not a green, not a blue…. Moreover, apart from the colors I can readily bring to mind, the color of the object is likely to be different from at least some, and possibly all, of the colors of the other objects getting presented within my visual field. Getting identified as yellow ocher 124 excludes getting identified with any other color. A color gets brought under a concept when it is identified (this color as opposed to all the others), capable of being re-identified (the same as the ‘this color’ a moment ago), and subsumed under a category (this instance of the color is the same as all these other instances of the color.) Difference from, then the same, and again the same). All three happen only at a certain level of generality. The presencing here of what is in each case a center (a center with weight, heft, momentum, swing, and the constant felt potentiality for movement) occurs, obviously, without any identification of any other center here. In each case, this is the only one. When, after some labor and struggle, I develop the conceptual resources to identify ‘this position here’ (assuming I have succeeded in doing this), only this one is presencing. There is no possibility of distinguishing this one that is presencing here from that one or this other one — there is just one body, one center presencing here. I can of course imaginatively posit other centers, but none of these are showing up in the quasi-location named by the indexical ‘here’. Scotus’ unity that is less than one. Compare with Jerry Fodor’s glumly saying ‘I know’ when, after giving a talk that did not go well, someone saw him sitting alone at a table and said, after being hit by a lightning bolt of recognition, “You’re Jerry Fodor!” Jerry Fodor deeply took it for granted that he was Jerry Fodor — so deeply taken for granted that there was no need to distinguish himself from Smith, Jones, or Silverstein. This one is not quite gelling. I compare it to a stream gradually peetering into the desert — perhaps going underneath the sand. Vision is always perspectival — even, I strongly suspect, in the case of the drastically diminished vision of my eyelids when my eyes are closed. There is a ‘from’ (one’s body, one’s head) and a ‘to’ (‘his gaze went out to the mountain’). Vision gives us a presentation of an object located at a quasi-position ‘there‘, where this position is determined, not only by the object’s GPS coordinates and by its location in the four dimensions of physical space-time, but also by its being exposed to a viewer, with an exposed front and a hidden back, and a presence in a visual field. A visual presentation is a two-place relation. But a tactile presentation of the proprioceptive variety, by contrast, is a one-place relation. There is no ‘from/to’; there is only the appearing of the body — and I won’t say ‘appearing to’ unless I find this absolutely necessary! This one-place relation is not an equality relation or a coinciding relation, both of which are two-place relations. It may be useful, however, to use equality and coinciding as ladders to get to my one-place relation. Just a presentation of an object located here. An appearing here. Feeling pain here, in the toe I have just stubbed, for example. My (vastly diminished) seeing the shadow-side of my eyelids when I shut my eyes. All that I visually experience is a field of darkness, sometimes fleshy darkness. The sense of a concrete object there is not present. Along with this diminishment is a severely diminished sense of depth between me, the seer, and this object — the normal depth has become — at least as I try to describe the experience — a transparency, an invisibility, an invisible field in front but at no determinate, definite distance away from the darker field. But given how plastic this visual experience of the dark field is, I would not at all be surprised to find that other people experience it this way — perhaps I am the only one. The ekstasis: a futurally-graduated and forward-thrusting displacement of the position here from its existing-in-the-present (now) center. I/my body throw(s) myself/itself towards the doorknob as, heading out the door, I am prepared to grasp it, resulting in a displaced here; a displaced now. This is an enacted and lived displacement, not a posited one. A lived, not posited, “prediction” that results in the various nerve fibers and muscle fibers doing their part to move towards the doorknob prepared to grasp it. RE the contradiction posed by “The top of the bowl is a circle; the top of the bowl is an ellipse: it can’t be both! Or can it? Let’s distinguish some aspects. 1) What is presented in the visual field conceptually isolated as visually presented. The ellipse of the top of the bowl (or its occasional circularity. 2) What can be visually imagined (the bowl, now seen from the side, turned so that I am now peering straight into its opening). This is always live as an ever-present potentiality. 3) The penetration of my (potentially) touching hand (really, all of me as touching body) into the interior of the bowl. The potential feeling of the bowl-top’s circularity. This is always live as an ever-present potentiality within the visual field. 1) and 3) especially are, I claim, would-be-different views on the bowl that have been combined, just as the would-be different views of/from each of my two eyes merge together in binocular vision. Binocular vision, in fact, facilitates the merging of the would-be-“purely-visual” from the would-be-“purely-tactile”. Binocular vision affords me (apparently more for some people than others) a greater penetration of my hands/(really all of my body) around the object; thus the greater sense of depth, of the object’s physicality. The merging of would-be-different views. These views are always already merged, are always already a single whole; later, we can conceptually distinguish, try with one degree of success or another to isolate them. The visually presented ellipse of the bowl top which I struggle to detach from the live-potentiality of my fingers tracing the top of the bowl: ellipse struggling against circle. Projection of depth struggling against flatness of the (would-be) picture plane. The more I succeed in getting the visually presented detached from the visually/tactically projected, the flatter the object becomes, so that I would end up with Berkeley’s Idea. The circle as seen aslant just is the visually presented merged with the visually/tactically projected. Ditto the presented “V-shape-in-depth of the absolutely straight road in New Mexico. Continuously, the visually-presented becomes more conspicuously, more easily detached from the projected width of the road. (Nearest to me it is right there for me to pace out.) A funny ‘V’ — not a purely visual one, which means flattened ala Berkeley. But the visual, the perspectival, is indeed present even though ‘made a bit weird’ through the projected, as can be seen from the Greeks’ increasing the size of their temple columns as they go up in order do prevent the tapered v effect. The increase in size towards the top is necessary in order to counteract the weakened effect of the visually/tactically projected. So yes, the top of the bowl is at once circular and elliptical — but not in the same respect. Elliptical (usually) presentationally (but circular from one point of view); always circular visually/tactically; the two “views” always comprise a single whole, but ‘presented’ vs. ‘projected’ can be teased out conceptually with varying degrees of ease/difficulty as one aspect becomes more/less conspicuous. The disagreement between Sartre and Husserl over the existence of the transcendental ego presupposes a common basis which they partly acknowledge. In Husserlian terminology, it is the transcendental field or field of transcendental subjectivity after the epoché. In the existential phenomenological terminology of the Sartre of 1943 it is the nothingness of being-for-itself. In The Transcendence of the Ego Sartre calls it ‘an inside without an outside’ or ‘absolute interiority’. We could call it ‘subjective space’ or ‘inner space’. It is the space of one’s own psychological interiority, the zone of awareness where my experiences happen. In the non-psychologistic vocabulary of Heidegger’s 1927 fundamental ontology which eschews ‘subjective’ and ‘inner’ it is the Lichtung or clearing in the forest where being is disclosed to being. Subjective space has phenomenological properties. It is phenomenologically indistinguishable from physical space as perceptually presented to oneself at its centre; unbounded in the sense that travel seems in principle possible for ever away from its centre. Subjective space is Parmenidean: it is like the inside of a sphere with one’s own being as its interior. Thoughts and experiences, including experiences of physical objects, arise and subside within it. It is the zone where being and phenomenological content coincide. … It is not physical. I am or am directly acquainted with its interiority. … I conjecture that subjective space is the soul. 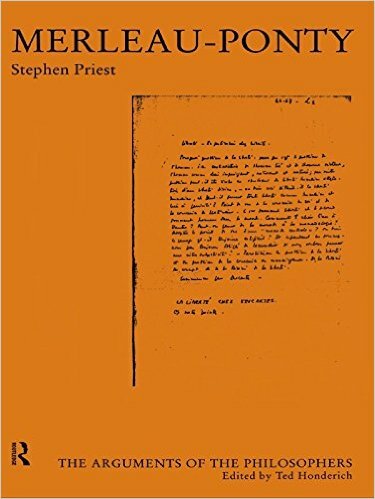 Stephen Priest, THE SUBJECT IN QUESTION Sartre’s Critique of Husserl in The Transcendence of the Ego, Routledge, Oxford, pp. 152-153. Henceforth SUBJECT IN QUESTION. Breadth lends itself to getting conceptualized as an array of points. Opacity is not a problem, so the occurrent is not a problem. The points are simultaneously ‘there’. Depth gets conceptualized most easily not as an array of points spread out before one and existing simultaneously, but as a stretch from ‘here’ to ‘there’. One can imaginatively posit points in depth one behind the other, but there is always a space between those two points. The occurrent, the actual, is a problem. So depth is the realm of possibility, of potentiality. One can move bodily through. One can imaginatively ‘push’ a point further out. I almost said “mentally” — but here, I think, the contrast is not between ‘mental’ and ‘physical’ but ‘occurrent/actual’ and ‘potential/possible’ — the arena of the imagination. Experienced space is pregnant with potential movement — ‘pregnant’ meaning full of possibility without any given possibility (moving this way or that) getting specified. The pregnant-with-possibility space is always already there (corresponds to the ‘past’); one finds themselves always already situated in it. Presumably it is dependent upon whatever neural connections that get formed at a certain stage of development (which formation becomes difficult or even practically impossible after that stage) in the brain. Then in a flash one possibility becomes occurrent, becomes actual, not merely potential, settles out like the drop of ink ala David Bohm — the soccer player’s vector. Clearly the Form Of Ginger itself participates in the Form of Absolute Beauty. How can anyone get anything done with Beauty like this walking the earth? 0 Hahahahaha. Seeing double. Get it? Get it? … Okay, okay, I’ll shut up…. 3 Though perhaps professor Searle, who, unfortunately, at times performed homophobic speech acts in some of his classes in the late 1970s, would not approve. November 26, 2015 and November 27, 2015: Drastically rewrote lumber scrap #2. It would be safest to assume the worst: namely, that I did so in a probably failed attempt to hide my lack of control over the subject matter and the confused nature of my thinking. A few weeks ago my interest in the French Philosopher Maurice Merleau-Ponty (1908-1961) suddenly got re-ignited upon finding out that a paper I published in a previous life (THE CONCEPT OF THE ECSTASIS, Journal Of The British Society For Phenomenology, 14(1): 79-90, 1983) actually got listed in the bibliography of Stephen Priest’s MERLEAU-PONTY: THE ARGUMENTS OF THE PHILOSOPHERS. …you can work around the edges of an idea over days and weeks and months [and years] and really come to understand it. It’s this process that blogging does better than pretty much any other medium. The question concerning corporeity connects also with Merleau-Ponty’s reflections on space (l’espace) and the primacy of the dimension of depth (la profondeur) as implied in the notion of being in the world (être au monde; to echo Heidegger’s In-der-Welt-sein) and of one’s own body (le corps propre). So in the months and years to come I will be re-reading, working through, and blogging on Merleau-Ponty (THE PHENOMENOLOGY OF PERCEPTION, THE VISIBLE AND INVISIBLE, and other works) in order to really come to understand, truly get my head around, get a maximal grasp of this notion of ‘the primacy of the dimension of depth as implied in the notion of being in the world and of one’s own body.’ As part of this effort, I will be re-reading and blogging on George Berkeley’s works as well, which, partly as foil, partly in a kind of concurrence, shed light in an interesting way on Merleau-Ponty. Of course, I am far from having finished the other two main categories I have been working on in this blog, to wit: ‘The Argument That Tagalog Lacks A Subject’ (a thread inspired largely by Paz Buenaventura Naylor’s article), and ‘Material Implication And Information Theory’ (inspired largely by Fred Dretske’s KNOWLEDGE AND THE FLOW OF INFORMATION and by Edwin D. Mares’ RELEVANT LOGIC). I intend to continue working on these threads at the same time that I am re-igniting an old flame, my crush on Merleau-Ponty. If I bore anyone, tough. You don’t have to read these incoherent/semi-incoherent ramblings. I am writing largely in order to learn, to get as much clarity as I can in my own head regarding these topics. Of course, it would be nice if someone else were interested in them, and, even better yet, had something useful and interesting to say about them, whether in disagreement or agreement with me. 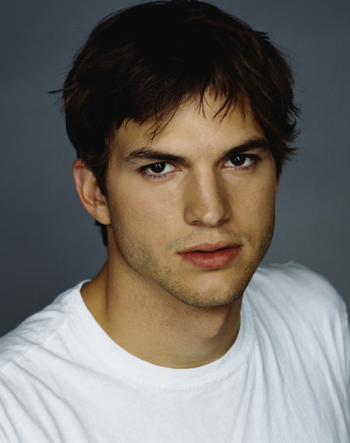 It would also be nice if Ashton Kutcher gave me a call. (No post even touching on philosophy would be completed without an homage to Plato’s SYMPOSIUM.) I wonder if Alkibiades was as gorgeous.